I have been living in Shanghai since September 2013 and below I will share my positive and not so great experiences here from a foreign perspective. 1、Ease of living: Shanghai is great! You can get everywhere easily, shops are open 24 hours and the shopping malls have long hours, a lot of people speak English compared to the rest of the country, you can buy things online, you can go everywhere. 2、Superb transportation: metro, taxi, buses, shared bikes, didi or Uber (the first owns the second in China), e-bikes (you need to own one), 2 airports, 5 train stations (the first 5 that come to my mind are Central station, HongQiao, SongJiang, South, West), illegal black cars (if you are brave or desperate or no alternative available). I feel Shanghai has one of the best transportation systems in the world and it is great to move around. 3、Smartphones: you can do everything (almost) with your smartphone in Shanghai. Just download WeChat (Tencent) and Alipay (Alibaba), connect them to your bank cards and start enjoying it. You can pay everywhere with them, you can order taxis, read the most recent news, pay the bills, order taxis/vans/buses, order food and get delivered it everywhere you want, buy holiday trips, etc. There are so many things available you can do by just accessing these 2 apps and all their affiliates. 4、Food: the different provinces of China, Italian, French, Japanese, Korean, Singaporean, American, English, Russian, Spanish, Argentinian, Thai, Indonesian, Malay, etc. Salty, sweet, sour, spicy, barbecue, soups, fried, seasoned, etc. The food options are so different and varied that you can get lost and the prices are overwhelming. You can find everything based on how much you want to pay. 3 Michelin stars to the street food. You pick your choice. 5、Coffee culture: coffee is growing by leaps and bounds in Shanghai. Before it was only the big chains (Starbucks, Costa, Pacific, Dunkin and so on), but now there are plenty of small and private coffee shops that offer great coffee and awesome experiences. 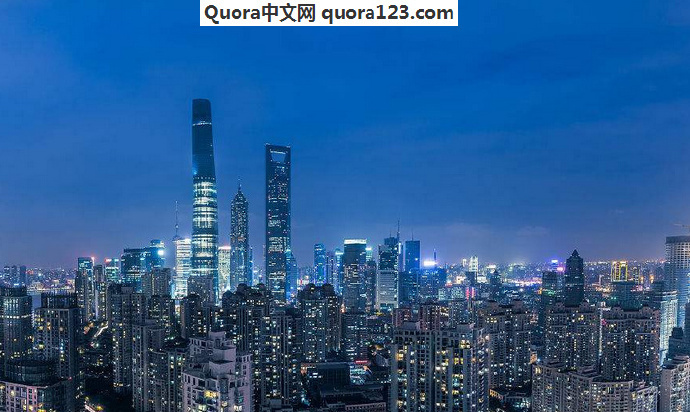 They are located everywhere in Shanghai (from the top shopping malls, to the small alleys typical of Shanghai). The prices are somewhat pricey (5/7 Euro/USD for a coffee is weird for me as an Italian), but the variety and the quality can make up a bit for the price you pay. Or you can skip the pricey ones and go to the small shops. 6、English: a lot of foreigners come to Shanghai because it is easier to communicate with the locals and there are also a lot of international businesses. So it has become a positive circle for the internationals and the Chinese alike. But get out of the main areas (HuaiHai rd, Nanjing W/E rd, LJZ, University areas, some areas around the international schools and the big companies or tech parks) and you will feel a lot like being outside of Shanghai because no one speaks English there. Some districts have only Chinese so if you want to improve your Mandarin / Shanghainese skills (and save a lot of money) consider living in certain suburbs (Minhang and SongJiang have plenty of cheap estates). 7、Clean and safe: Shanghai is very safe (police is everywhere and cameras as well) and there a lot of cleaners who will sweep the city over and over. 8、Skyscrapers: this is a personal favorite, because you can go to almost all of them and the view can be awesome (when there is no smog). 9、Change! Shanghai is changing all the time, you will never know what would come into your life when you wake up the next day, maybe a new cellphone app, maybe a new convenient service, even a new construction, metro… (During my first 12 months I stayed in the same apartment, but the street to the closest metro stop changed 3/4 of the shops). If a shop does not work, within 6 months it will be scrapped and a new entrant will be ready to propose something different. 1、Smog: a lot during the winter. Hopefully there will be more and more big international events to increase the clean days. 4、Smoking: smoking everywhere. March 2017 should be a turning point with more restrictive rules / laws, but as usual it is all about the application and enforcement of them. Hopefully they will do. Update: the change was big at the beginning of March, but it has slowly worn out and now you can still find people smoking in places where they should not. Way better than 2 months ago, but way to go. 5、Rising cost of real estate: it is abused by some companies and it pushes all the other prices up. They are trying to cool the effects a bit with some rules (some months ago locals were divorcing to buy more houses for example), but still not enough. 6、Manners: 3 years ago it was bad (and some friends tell me it was even worse before) and now it is improving. Some locals will spit, burp, cut their nails everywhere. Slow change here. 7、Taxi drivers: a lot of times they can be scary due to they way they drive and it is hard to get them to stop for you in certain hours of the day Why? Some drivers do not want (too far from recurring customers) or cannot go to certain parts of the city (according to their licenses). 8、Pedestrian crossing: It is not very safe because most of the drivers will not stop and wait for you to pass, but things are changing slowly. 9、Not very “Chinese Chinese” culture: Shanghai is part of China, the growth and life there are typical of China – fast and open minded. But unlike Beijing, there is not much traditional culture going on. You would see more European style architectures, operas, galleries than in other Chinese cities (from Chris Zhang ).